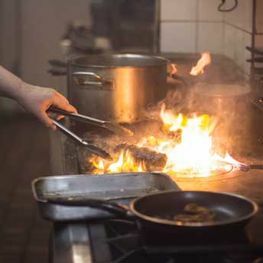 At RD Plumbing, we know that in a commercial business the kitchen is the most important part of the business, we also know that it is not just the catering equipment that is important. A commercial kitchen must be ergonomically designed so that the correct equipment is in the correct position. Our experts will come visit the business, and discuss in detail your requirements. We will then go and price up the job, we pride ourselves on coming in within budget. Our clients trust our expertise to ensure that they have the best kitchen design and layout to maximise both production and profitability. So if you are thinking of renovating or building a new commercial kitchen then contact us and get the kitchen design that your business needs for success. For more information on our range of commercial kitchens, get in contact with RD Plumbing today. At RD Plumbing our Industrial Services includes industrial plumbing and mechanical piping services for all your industrial/commercial needs, regardless of the size of the company. Our team of highly skilled personnel provide innovative solutions tailored to the specific needs of our long-term industrial client base. Whether it’s gas installation, pipe and equipment maintenance or general repair work, we have the specialist expertise for your business. The Design/Build of a new construction and renovation of all size buildings (engineering services). To discuss our industrial services get in contact with RD Plumbing today.